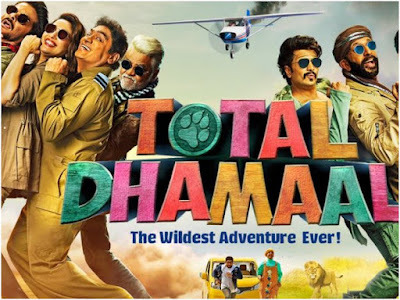 The Indra Kumar's directed "Total Dhamaal" is all set to release next month on 22nd February. The trailer is released now and got a good amount of hits in just ten hours of its release. The Cast is having a big addition of Evergreen lady Madhuri Dixit, and after watching the trailer I must say she did a fantastic job here. As the tag line of the movie suggests "The wildest adventure ever" this is also shown in the trailer. The trailer contains mostly the forest and desert locations which with the blend of comedy increases the aoura of the film. 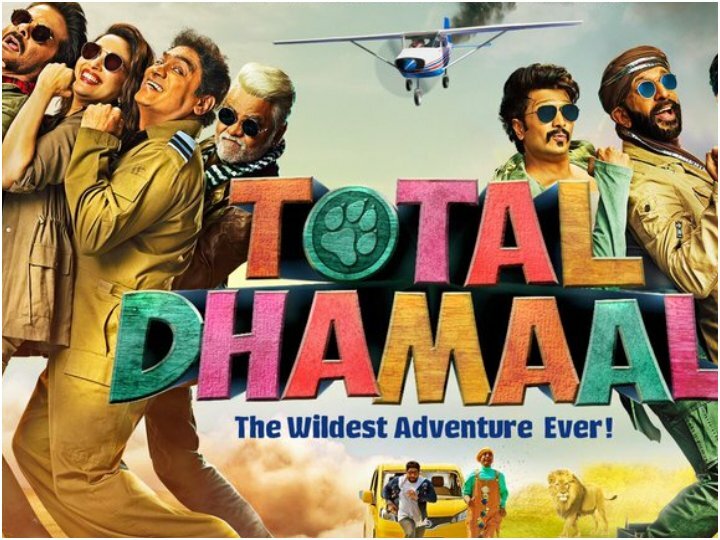 The dialogues and one liners are just amazing which will definitely keep connected the audiences on and after 22nd Feb.
From the trailer point of view all the stars are divided into the groups, chasing some Treasure, which Worth's 50 Crore. All I can say in one line about the trailer is Just "FANTABULOUS". Some people are comparing the first installment with this, which is unfair because this one is not released Yet, So how can you compare both the films.